Hand dyed sock yarn. 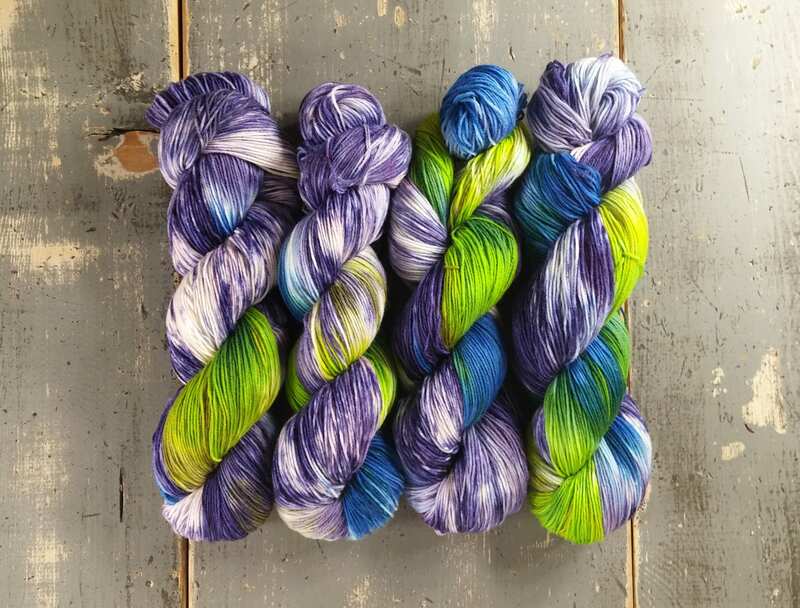 This yarn is dyed in a bright chartreuse green, blue, and a purple which was allowed to spread into areas of white and split into areas of lighter purple and blue-purple along with some of the natural white of the yarn showing through. 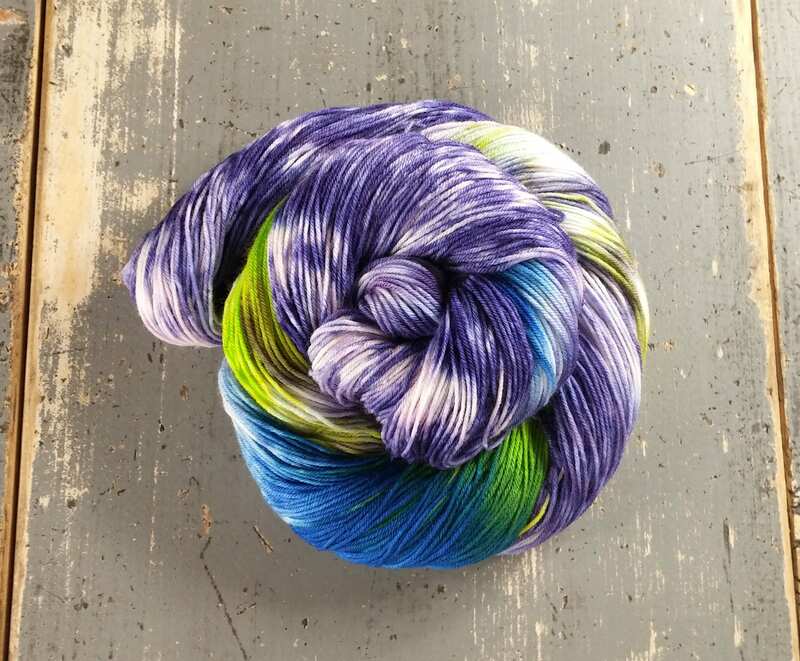 There are currently 8 skeins available but one is a different dye lot. If you need more than 8 skeins for a project please send me a private message before purchasing. The colors are even more stunning in person. The yarn is so soft and squishy! The shipping and customer service are excellent! I highly recommend this seller. I can hardly wait to knit some socks!